the genie back into the bottle. ESCWA’s historic report has set two landmark precedents on Palestine. It is the first time any UN agency has established through a scrupulous and rigorous study that Israel has imposed an apartheid regime against the entire Palestinian people. Also, ESCWA’s advocacy of BDS as the most effective way to hold Israel accountable for its war crimes has set an important precedent in the US-dominated UN system. 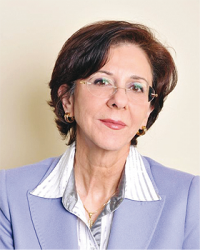 Palestinians are deeply grateful to ESCWA’s director, Dr. Rima Khalaf, who preferred to resign in dignity than to surrender her principles to US-Israeli bullying. At our darkest moment of Israel’s escalating repression, including of nonviolent human rights defenders, ongoing theft of Palestinian land, and worsening apartheid policies, Palestinians are hopeful that this groundbreaking report heralds the approaching dawn of a new era where Israel's regime of injustice will be held accountable through sanctions and other measures, as was done against apartheid South Africa.